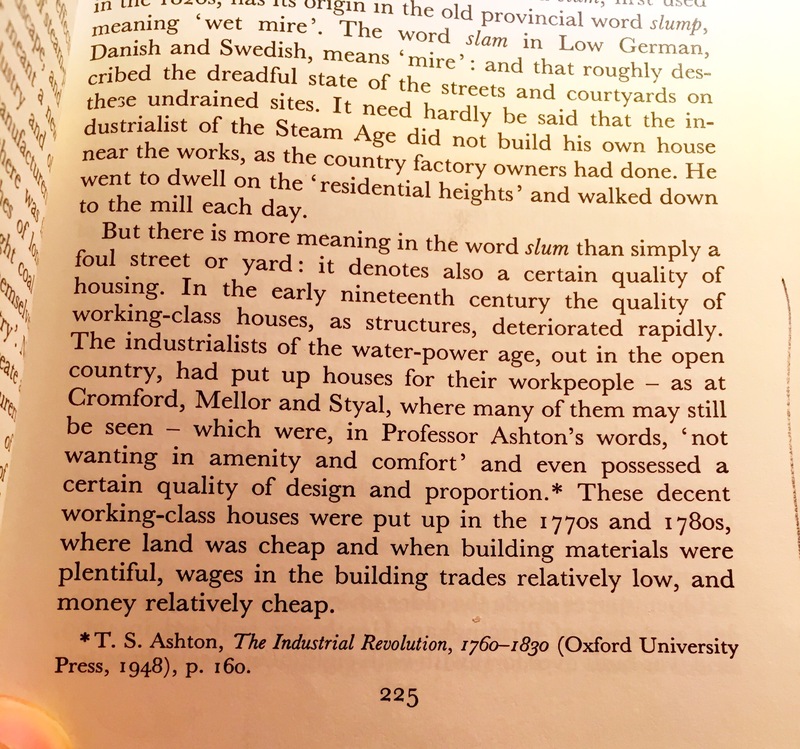 This extract taken from ‘The Making Of The English Landscape’ by W.G. Hoskins is brutal and telling. 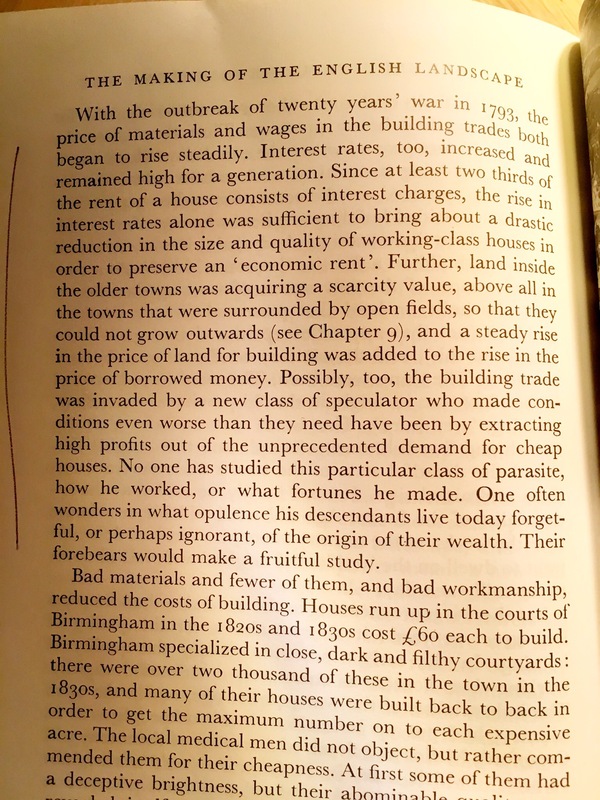 This entry was posted in 1700's, 1800's, Books, Scrapbook and tagged Birmingham, building, cities, history, Housing, industrialist, interest rates, land, property speculators, slums on December 7, 2017 by cow. A Community Land Trust, self build, coop design with space for food growing… Some nice work going on in Lewisham… and when I say new, I mean new to me! It looks like they have been planning this for ages and ages. This entry was posted in Scrapbook and tagged community land trust, Coop, deisng, design, Housing, land, Lewisham, London on May 9, 2016 by cow. 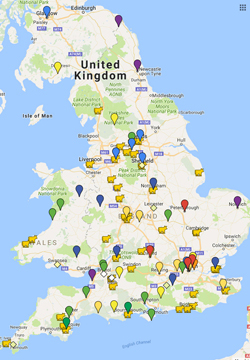 Remember, we don’t have a ‘housing crisis’, we have a distribution of land and housing crisis. 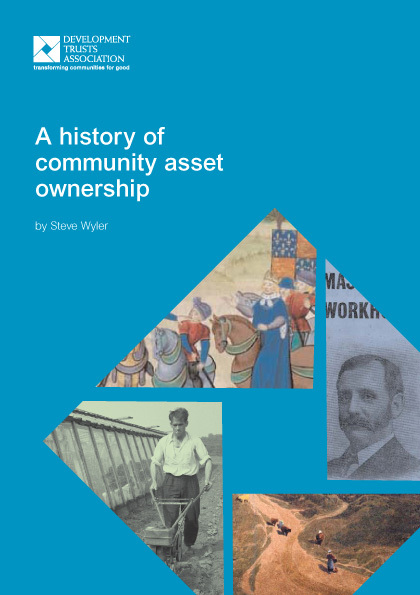 LAST month Cotswold district council (CDC) published its long-overdue local housing plan. Four years late, the draft was put together with the help of external planning consultants, costing the Tory council £321,594. It reveals that the district’s entire housing shortfall will be resolved by building 2,350 homes on 300 acres of grade II arable land on the edge of Cirencester, owned by local Tory grandee the 9th Earl Bathurst (“Allen” to his chums). Allen owns 15,500 acres in total, so is unlikely to miss a few hundred. With planning permissions expected to be a mere formality from the Tory council, a multi-million-pound windfall beckons. This plan to expand the area of Cirencester by 43 percent has not been greeted with universal delight by the citizenry. With accusations of Tory cronyism being bandied about, it was timely that the local Conservative Association abolished Allen’s role as honorary president in October. Perish the thought. Far too oiky! 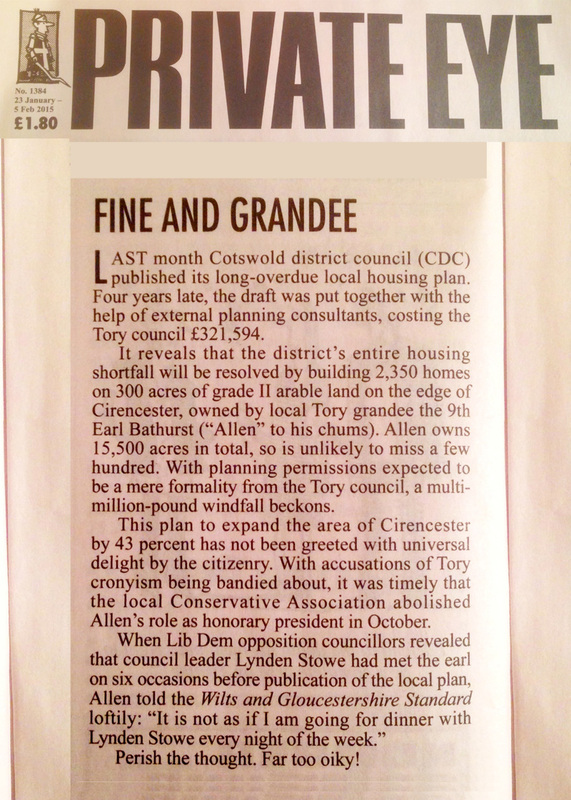 This entry was posted in Scrapbook and tagged Allen, Cirencester, conservatives, consultants, cotswolds, crisis, Earl Bathurst, Housing, land, large land owner, planning, private eye, tory party on February 2, 2015 by cow. 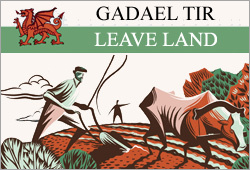 We are going to be performing the show at this brilliant festival in Wales this summer. An amazing festival - you should come. 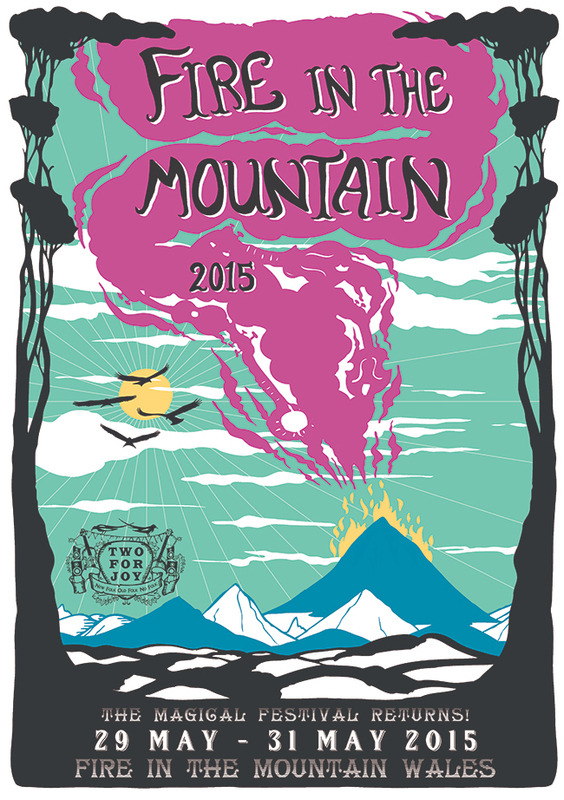 See http://www.fireinthemountain.co.uk/ or http://www.twoforjoy.co.uk/fire-in-the-mountain for more details. 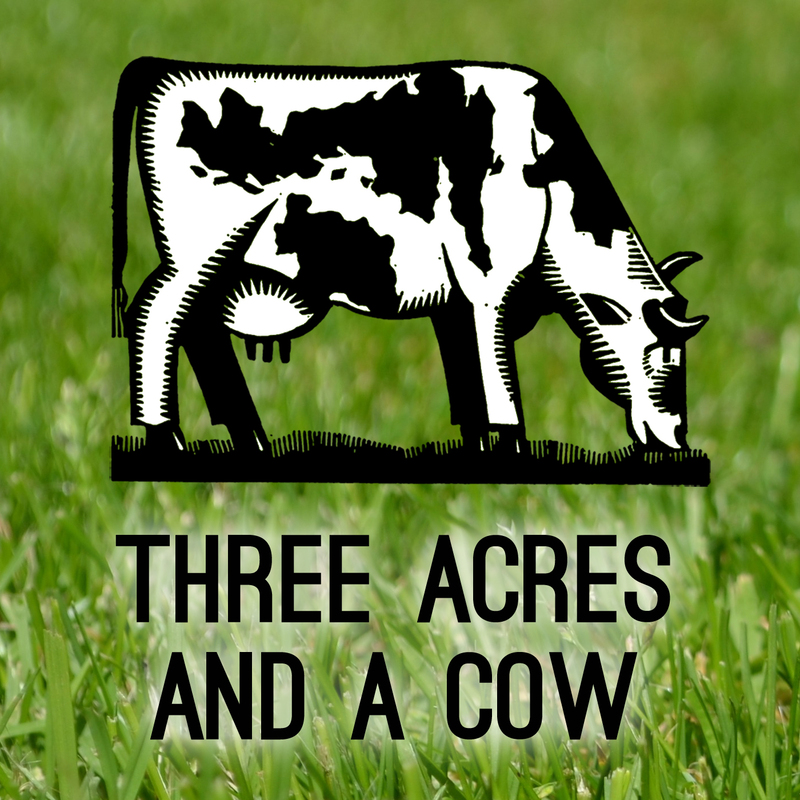 This entry was posted in Shows and tagged festival, folk, history, Housing, land rights, music, new folk old folk no folk, story, Two for joy, Wales on January 23, 2015 by cow. This is a brilliant overview of the last thousand years and what it lacks in a catchy title, it makes up for in compelling prose. This entry was posted in 1000's, 1100's, 1200's, 1300's, 1400's, 1500's, 1600's, 1700's, 1800's, 1900's, 2000's, Books, Time period and tagged Buildings, Chartists, Co-op, Community, Coop, Development Trusts Association, Housing, John Ball, land, Land Settlement Association, land value tax, Locality, Steve Wyler, The Diggers, The Peasants' Revolt, William Blake on January 18, 2015 by cow.